The future book odds have come in from our friends at Wynn Las Vegas. Here is the current list of newly turned sophomore runners whose connections are aspiring for a Run at the Roses. This year’s Derby is Saturday, May 6, 2017. 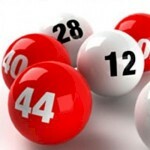 Horse Racing and the Lottery – What’s the Better Bet? Anthony Kelzenberg has been a “Weekend Warrior,” since Alysheba won the Kentucky Derby in 1986. His favorite horses are Sunday Silence (old school) and the current Australian undefeated super mare Black Caviar. He is an occasional blogger at “The Flat Bet Prophet,” has lead several successful superexotic wagering syndicates and likes to think he has a good eye for a race horse. 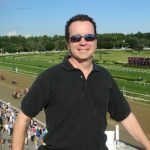 He has been a featured guest on Derek Simon’s Twinspires.com radio show and can be contacted through Facebook. Wynn Las Vegas and popular racebook manager Johnny Avello have provided updated 2012 Kentucky Derby future book odds.